UV Radiation Overexposure to the Sun's radiation can cause health problems such as cataracts, which cloud the lens of the eye, and skin cancer. In your Science Journal, describe ways to limit your exposure to the Sun's damaging radiation. Global Warming Carbon dioxide gas (CO2) is released into the atmosphere when wood, coal, gas, or any other fuel is burned. People burn large amounts of fuel, and this is contributing to an increase in the percentage of CO2 in the atmosphere. An increase in CO2 could raise Earth's average temperature by a few degrees. This average temperature rise, called global warming, might lead to climatic changes that could affect biodiversity. 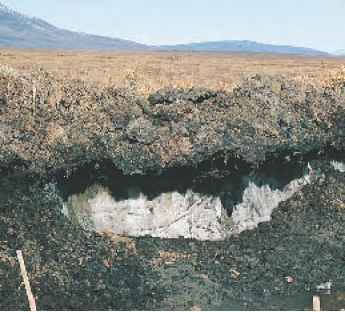 For example, portions of the polar ice caps could melt, causing floods in coastal ecosystems around the world. Ozone Depletion The atmosphere includes the ozone layer—ozone gas that is about 15 km to 30 km above Earth's surface. It protects life on Earth by preventing damaging amounts of the Sun's ultraviolet (UV) radiation from reaching Earth's surface. Scientists have discovered that the ozone layer is gradually becoming thinner. The thinning of the ozone layer is called ozone depletion. This depletion allows increased amounts of UV radiation that can harm living organisms to reach Earth's surface. 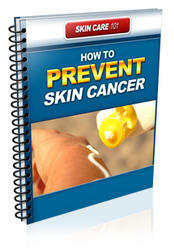 For humans, it could mean more cases of skin cancer. Ozone depletion occurs over much of Earth. Data collected in the late 1990s indicate that ozone levels over the United States, for example, had decreased by five to ten percent since the 1970s. • Biodiversity is a measurement of the number of species living in an area. • In warmer climates, biodiversity usually is greater than in cooler climates. • Biodiversity can improve crops and provide materials for furniture, clothing, and medicine. • Extinction is a normal part of nature that reduces biodiversity. • Climate changes, habitat loss, and introduced species can decrease biodiversity. • Ozone depletion can harm organisms by increasing their exposure to UV radiation. 1. Describe how endangered species are different from extinct species. 2. Explain why habitat loss and habitat division are threats to biodiversity. 3. Explain how introduced species threaten biodiversity. 4. Think Critically Aluminum, commonly found in soil, is toxic to fish. It damages the ability of gills to absorb oxygen. Acid rain can wash aluminum out of the soil and into nearby waterways. Explain how acid rain could affect biodiversity in a pond. 5. Identify and Manipulate Variables, Constants, and Controls Lack of calcium in the soil can damage trees. Design an experiment to test the hypothesis that acid rain is removing calcium from forest soil. You probably have seen news clips of waterbirds covered with oil after an oil spill. Nearly four billion kilograms of oil are spilled from ships or dumped into the ocean each year. Oil floats on water, and can coat the feathers of waterbirds. These birds depend on their feathers for insulation from the cold. Oiled feathers lose their insulating qualities, so oiled birds are exposed to the cold. Oil-coated feathers also prevent the birds from flying and can even cause them to drown. Rescue teams try to clean off the oil, but as you'll find out in this lab, this is a difficult task. ■ Experiment with different methods for cleaning oil from bird feathers. to drip back into the beaker. Lay the feathers on the paper towels. 3. Using another paper towel, blot the oil from one feather. Run your fingers over the feather to determine if the oil is gone. 4. Using the cotton swabs and cotton balls, wipe the oil from a second feather. Check the feather for oil when finished. 5. Using a toothbrush, brush the oil from a third feather. Check it for oil when you are finished. 6. Use a sponge to clean the fourth feather. Check it for oil when you are finished. 7. Fill the second beaker with water and add several drops of dish soap. Soak the fifth oil-soaked feather in the solution. Check the feather for oil after it has soaked for several minutes. 1. Identify the method or methods that best removed the oil from the feathers. 2. Describe the condition of the feathers after you finished cleaning them. How would the condition of these feathers affect birds? 3. Infer why rescuers would be hesitant to use soap when cleaning live birds. 4. Infer how oil pollution affects water mammals such as otters and seals. 1. Fill a beaker with vegetable oil and add several drops of red, blue, and green food coloring. Submerge your feathers in the oil for several minutes. Share your results with your classmates. Decide which methods you would use to try to clean a live bird.